Roof Damaged From Hail & Wind Storm in Nicholasville KY? Home » Blog » Roofing » Has Your Roof Been Damaged From The Hail & Wind Storm in Nicholasville KY? Has Your Roof Been Damaged From The Hail & Wind Storm in Nicholasville KY? 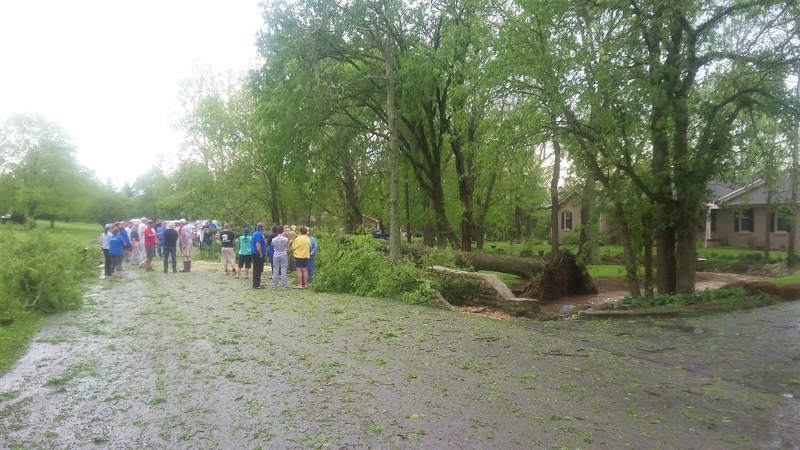 As the reported hail & wind storms passed through Jessamine County yesterday, havoc was the aftermath for some. From fallen trees to wind blown debris, it’s the first sign of the year that powerful spring storms are on their way. Image courtesy of Lex18 weather report. We’ve already discussed tips on preparing your home for spring weather, but what happens now that it has come? If you feel your home may have been impacted, we offer roof repair for hail and wind storm damage in Nicholasville, KY. Contact us for a free courtesy inspection of your roof and home’s exterior. As the clouds part and the sun shines through, it may appear that everything is back to normal. But is it really? When it comes to smaller storms, signs of damage aren’t always easy to spot. Although the image above doesn’t appear to show signs that the shingles were damaged after the wind storm, let’s take a closer look below. As you can see, wind can play tricks on your shingles. Even worse, if this isn’t detected in time, it can lead to thousands of dollars in repair costs! 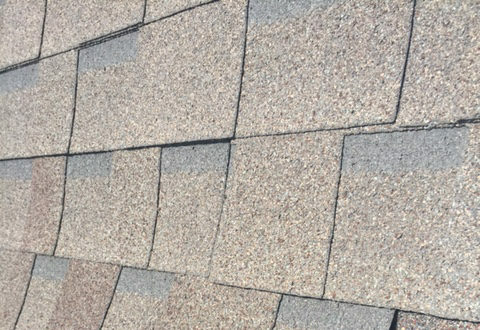 If you’re a homeowner who wants to play it on the safe side, contact us to request a free evaluation of your shingles. We didn’t get impacted by golf ball size hail, but with reports of accumulation near Veterans Park in Lexington, spotting it early can save you money! Even small impacts can lead to long run expensive repairs. If not caught, detected and resolved by filing a claim on your insurance efficiently, you may miss the window of time you have to get it replaced without the large expense. 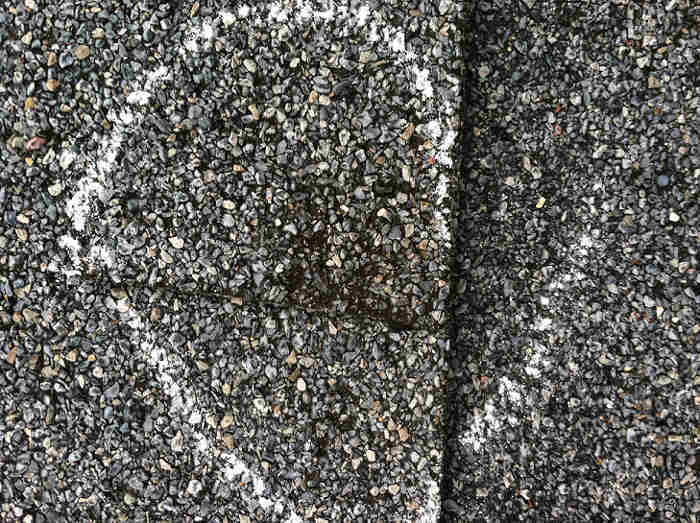 If neglected, it will cause small crater like indention’s that will expose the weaknesses in the asphalt. Over time this will deteriorate the shingles causing water penetration that will eventually leak into your home. 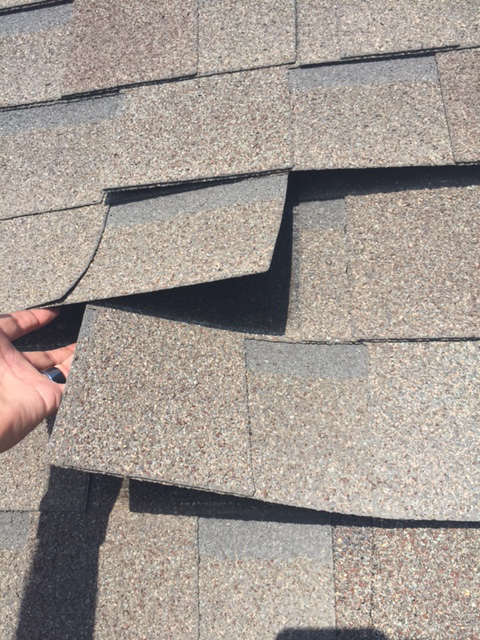 Here’s what a small subtle impact looks like on your shingle. Again, it doesn’t look like much, but if caught in time, you’ll be protecting your home and saving money as well. We deal with many homeowners who at least initially, had no idea their home had been impacted by storms. If you live near where the storms came through yesterday, allow us to offer you a free inspection to validate any signs of possible damage. The worst case scenario is you’ll have peace of mind that everything is in great shape! We are HAAG Certified and have InterNACHI members on staff. These certifications are considered industry leading in our field. Our team of inspectors will represent an honest and fair analysis of your property. You can expect first class communication along with detailed documentation on everything we detect. Trust us as your certified storm damage inspectors in Nicholasville, KY.